Order cake online in Jaipur or send flowers to Jaipur from Wish A Cupcake and get free home delivery to Jaipur. Looking for a delicious cake in Jaipur, or want to send flowers to Jaipur? Wish A Cupcake offers premium quality cakes and flowers delivered to your doorstep. Order a freshly baked cake or flowers for delivery across Jaipur. Our bakery products now come in eggless cake options. Our home delivery services make it easier than ever for you to order a cake online, or buy flowers online. 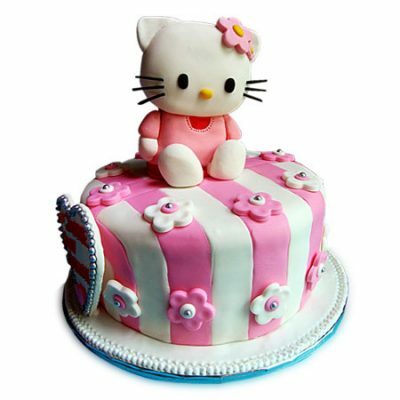 Wish A Cupcake offers one of the best and top quality cakes in Jaipur and flowers in Jaipur. Our attention is towards excellence and freshness of cakes and flowers. Daily discounts are available on our collection of cakes and flowers meant for all occasions and events. You’ll be able to purchase your cake online for delivery in Jaipur, and also send flowers online in Jaipur. Place your order now for delivery anywhere in Jaipur! Same day cake delivery. Send cakes to Jaipur. Buy and send a cake to Jaipur with Wish A Cupcake. We offer free home delivery of cakes in Jaipur. Feel free to order a birthday cake, wedding cake, corporate cake, anniversary cake, cake for parties and special events. Our online cake delivery services ensure same day and midnight cake delivery in Jaipur. Buy and send flowers to Jaipur with Wish A Cupcake. We offer free home delivery of flowers in Jaipur. Feel free to order flowers for birthdays, flowers for weddings, corporate flowers, flowers for anniversary, flowers for parties and special events. Our online flower delivery services ensure same day and midnight flower delivery in Jaipur. Jaipur, popularly known as pink city is one of the best places to visit in Rajasthan. The city is built with beautiful forts, mahals, and palaces. If you are looking for a cake delivery in Jaipur, then you are at the right destination. Certainly, cakes are a major part of our celebrations and festivals. Desserts like cake are a favorite of millions of people all over the world. Wish A Cupcake stocks cakes that come in sweet textures filled with creamy layers and the most delicious toppings. For every cake lover, Wish A Cupcake brings to you a new range of gorgeous and mouth-watering cakes in Jaipur with the online delivery option. Choose your favorite cake from our extensive range of regular cakes that include pineapple cakes, chocolate cakes, black forest cake, vanilla cake, butterscotch cake, fruit cake and much more. Our online portal also covers eggless cakes to be delivered in Jaipur. Take a sneak peek into our enormous collection of scrumptious cakes that are freshly baked with the top quality of ingredients. They are also integral to many occasions’ celebrations such as birthdays, weddings and anniversaries. We also offer a complete range of occasion based cakes in Jaipur which include birthday cakes, wedding cakes, love cakes and many others. So, order now for a wonderful treat with your loved ones. Buy cakes in Jaipur from any part of the world and get them delivered to the destination of your choice. We deliver cakes to more than 350 destinations around the world and you can send cakes to Jaipur, Delhi, Pune and Chennai and other cities. For all sort of assistance, connect with our customer care support system that is available around the clock. Happy Ordering!